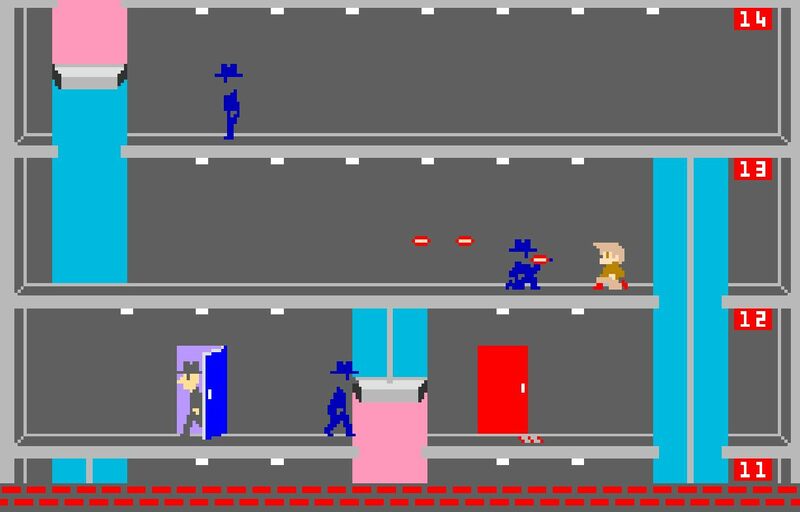 Elevator Action, the 1983 spy-action experience from Taito, is coming to Nintendo Switch via the Arcade Archives series from Hamster Co. It is time for another blast from the past on Nintendo's hybrid console. The next step is Hamster Co.'s series of classic releases called Arcade Archives is the 1983 arcade title Elevator Action. The action game was originally developed by Taito and is available now on Nintendo Switch. In Elevator Action, players take on the role of a spy named Agent 17 and codenamed Otto, attempting to infiltrate a building and escape with confidential documents. You start out at the top of a 30-story building and work your way down to the basement, collecting the documents along the way. Moving, jumping, and firing are the main ways to interact with Elevator Action on the Nintendo Switch and you can also use the elevator to move between floors. If you take too long, an alarm will sound and agents will become more aggressive along with the elevator's controls responding a bit slower to player input. Hamster Co. has faithfully reproduced classic arcade classics and rereleased them on various gaming platforms via the Arcade Archives series. There are updates to the game to make the transition into modern gaming and the hands of newer players a bit smoother, but players can also reproduce the classic display settings at the time the games were launched. Previously, Hamster Co. has brought Ikari Warriors, Ice Climber, Double Dragon 2 The Revenge, Donkey Kong Jr., Alpha Mission, Ninja-Kid 2, Atomic Robo-Kid, Rygar, and many more to the Nintendo Switch. Paired with the classic titles released via the Nintendo Switch Online membership, the hybrid console serves as a portal back to golden age gaming and a direct line to some of the most entertaining modern titles around. Arcade Archives Elevator Action is available now on Nintendo Switch for $7.99 and can be played by one or two players. Stay tuned to Shacknews for additional gaming and tech updates.